If you are looking for a RescueTime alternative that offers similar functionalities or want to switch to other software development analytics tools for your company, you are to the right place. 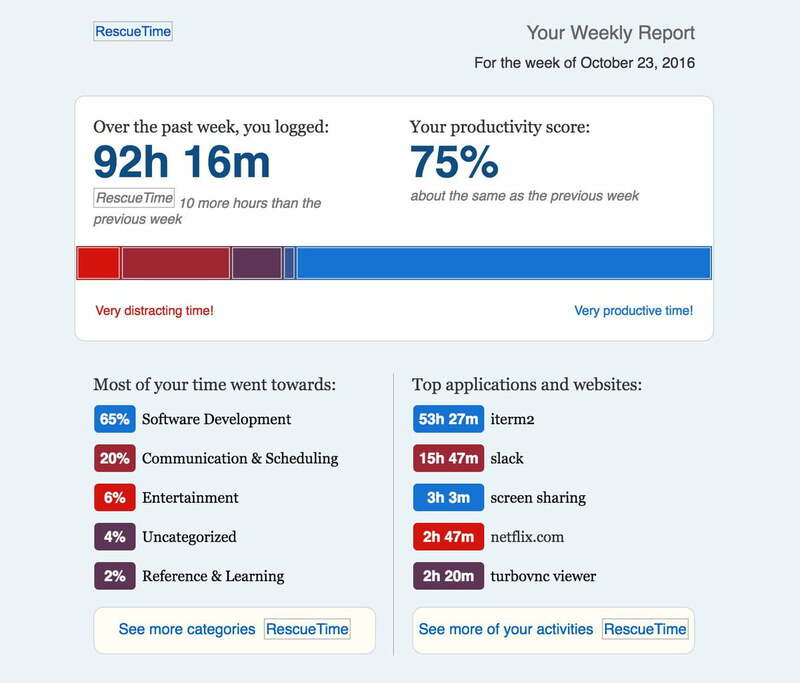 We have noticed that many RescueTime users are seeking for a good alternative due to RescueTime’s pricing and Poor support. Pricing Comparison of RescueTime and Waydev. See Waydev’s pricing plans to compare with RescueTime pricing. Unlike RescueTime, Waydev offer you a 20% discount if you make the effort to pay us yearly. We want you to use Waydev because you’re happy with the service, not because you signed a contract. You can cancel anytime. If you’re on the year prepay plan, we will provide a refund for the remaining unelapsed full months.